Since its founding in 1951, Marlboro Music has transformed the world of chamber music and played a vital role in developing generations of new musical leaders. Marlboro was created by eminent pianist Rudolf Serkin—its artistic director until his death in 1991—and co-founders Adolf and Herman Busch, and Marcel, Blanche, and Louis Moyse. 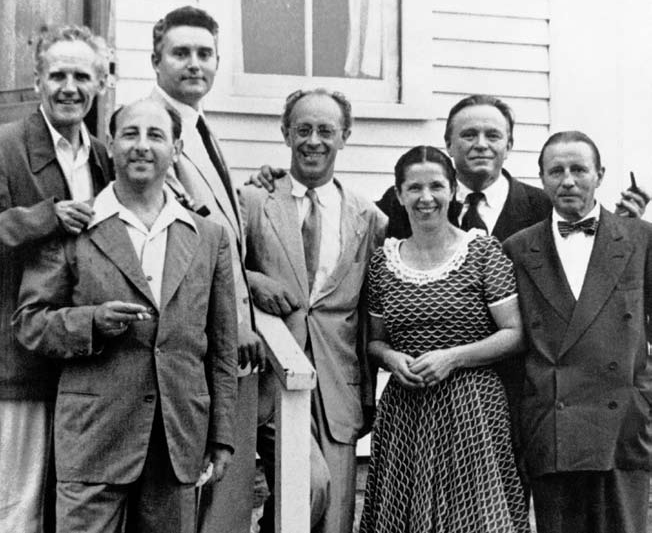 Over the ensuing decades, Marlboro was a vital gathering place and musical oasis for many renowned artists of the late 20th century, including cellist and conductor Pablo Casals; pianists Mieczysław Horszowski and Eugene Istomin; violinists Pina Carmirelli, Isidore Cohen, Felix Galimir, and Sándor Végh; cellists Madeline Foley and David Soyer; clarinetist Harold Wright; and soprano Benita Valente. Marlboro has also attracted acclaimed composers including Leon Kirchner (who helped to establish a resident composer program here in the 1970s), Samuel Barber, Elliott Carter, Aaron Copland, George Crumb, Luigi Dallapiccola, George Perle, and Gunther Schuller. Since the Guarneri String Quartet formed at Marlboro in 1964, former participants have formed or joined many outstanding ensembles, including the Brentano, Cleveland, Emerson, Johannes, Juilliard, Mendelssohn, Orion, St. Lawrence, Takács, Tokyo, Vermeer, and Ying Quartets; the Beaux Arts, Kalichstein-Laredo-Robinson and Mannes Trios; TASHI; the Chamber Music Society of Lincoln Center; and other prominent festivals, series, and summer programs. Other Marlboro artists are now principal chair members of leading symphonic and opera orchestras world-wide; are among today’s most sought-after recording and solo artists; or are acclaimed teachers at prominent conservatories and universities. Today, Marlboro continues to thrive under the leadership of Mitsuko Uchida and Jonathan Biss, remaining true to its core ideals while incorporating fresh ideas and inspiration. The festival takes place – as it has since 1951 – on the campus of Marlboro College (a separate institution).